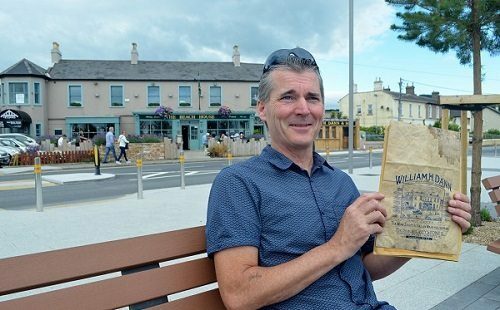 Greystones is a town that loves its history, and the likes of Greystones Archaelogical & Historical Society, The La Touche Legacy and the mighty Derek Paine have all added considerably to our understanding of our past. Such history truly comes to life when a slice of that history pops up out of the blue. 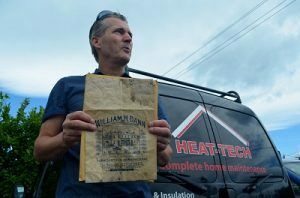 Or, as in the case of Maurice Dodd, pops out of a wall, the DIY Home Tech hunk hard at work in a Trafalgar Road home when he suddenly found, hidden in one of the walls, a note. 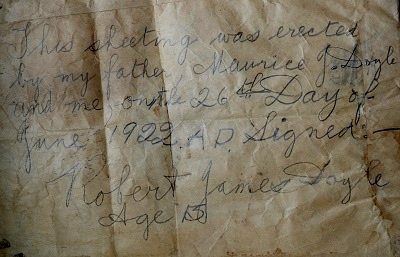 The message was written by a 13-year-old boy, Robert James Doyle, working with his plasterer father, Maurice J. Doyle, and inspired – as people still are these days – to leave a note for future generations to find. Given that our Maurice is also a plasterer, this note from 94 years ago struck an immediate chord. Exploring further, the local census revealed that Robert James Doyle was lived his entire life here in Greystones. It also revealed that he was buried up at the old Redford cemetery up at The Grove in Windgates. Making his way up there the very next day, Maurice foresaw a long day’s search of headstone inscriptions. The very first headstone he saw, on his immediate right as he walked in, was for Robert James Doyle. 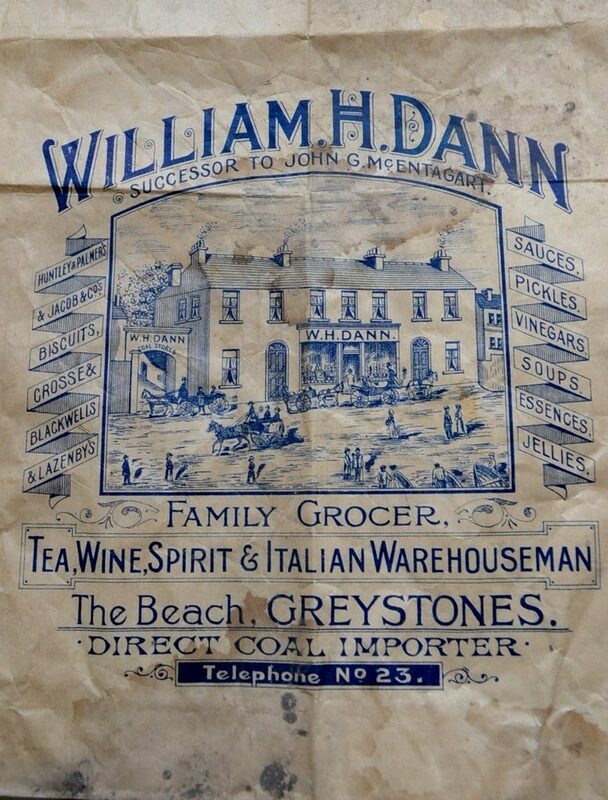 All from a note written on the back of an old Dann’s bag. 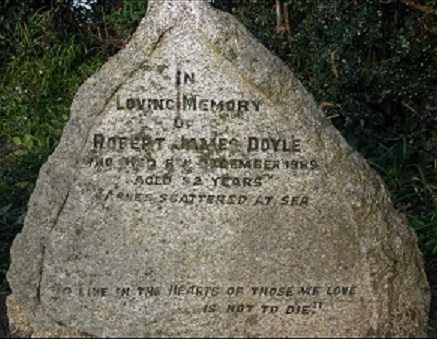 If there are any Greystones Doyles who are related to Robert James Doyle, please do get in touch. 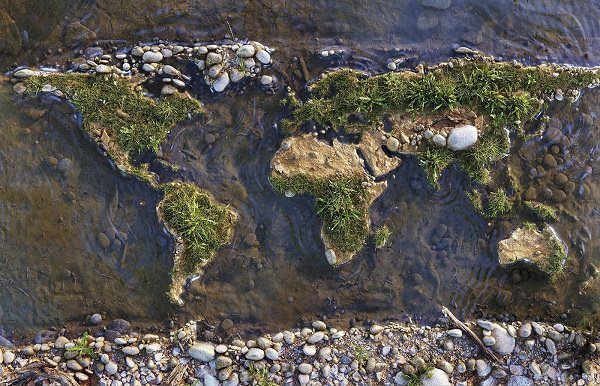 You can reach us at info@greystonesguide.ie. Oh, and less than 24 hours after this post went up, we found our boy, thanks to the great Gary Paine.